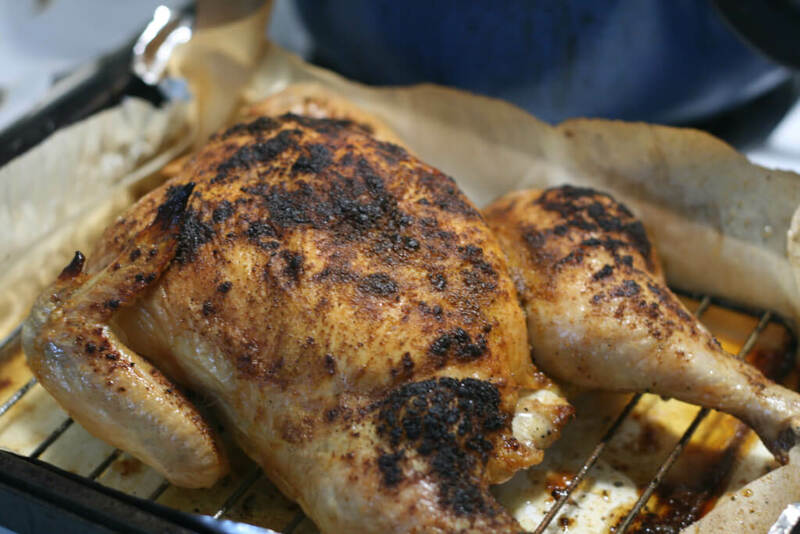 A staple recipe for oven baked chicken that is juicy while still having a crispy skin and jazzed up with a bit of spice. A baked yet crispy skin chicken is a common occurrence in our household. 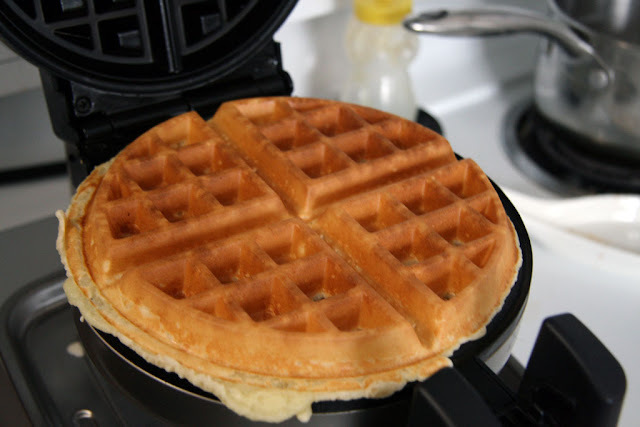 I would almost say it has become a staple of our kitchen meals over the past few months. If a whole chicken is on sale, Dan will buy one and it usually feeds us for a few days. This recipe is the perfect mixture of being easy, quick, and super tasty that after you try it a few times we hope it will be your go-to recipe as well. 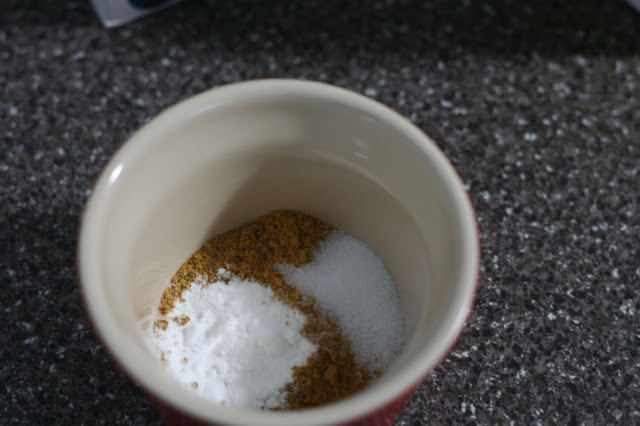 Just a few ingredients are needed and you don't need to add a spice to it if you don't want. 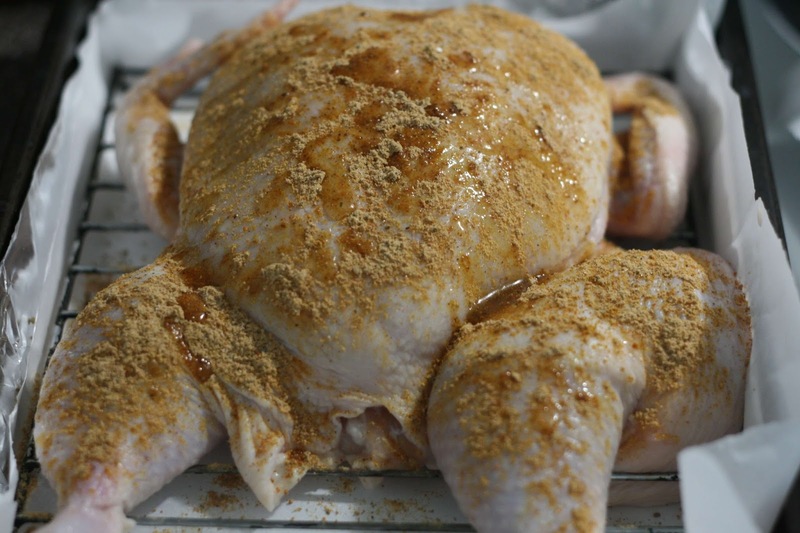 If you want crispy skin chicken just like the ones you get in the grocery store just follow the recipe using just the baking powder and salt. The key ingredient is BAKING POWDER, a friend of ours mistakenly used baking soda and their chicken turned out soapy. A way to remember is that you are "powdering a dry chicken". 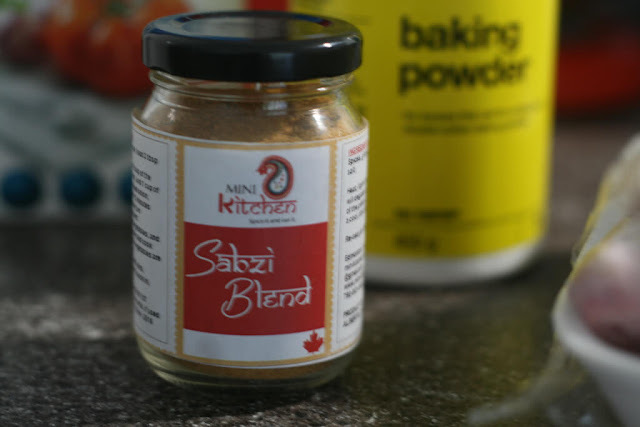 For this recipe, we jazzed up our usual recipe a bit by adding in some Sabzi spice from Mini Kitchen. 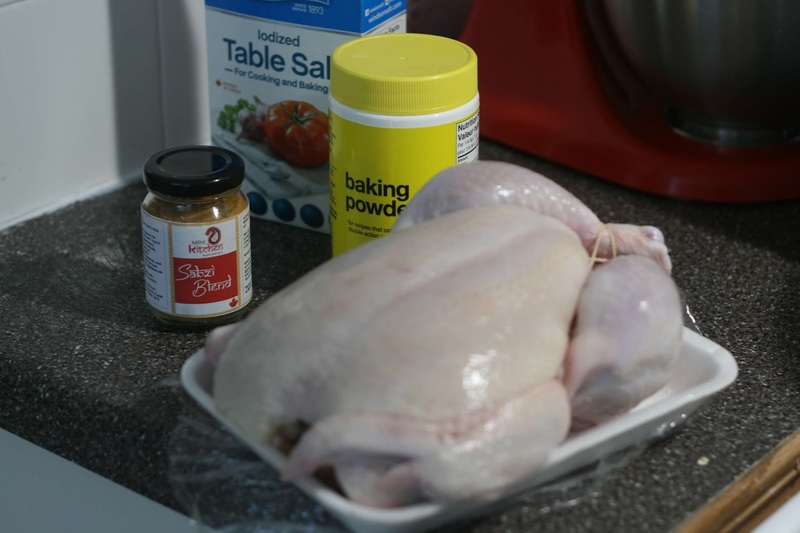 We have also made this style of chicken with ground white-pepper, paprika, or garlic powder, or even plain pepper. In a small bowl mix together the salt, baking powder and spice blend you are using. Note that this will be more than you need - save the remainder in an water-tight container. 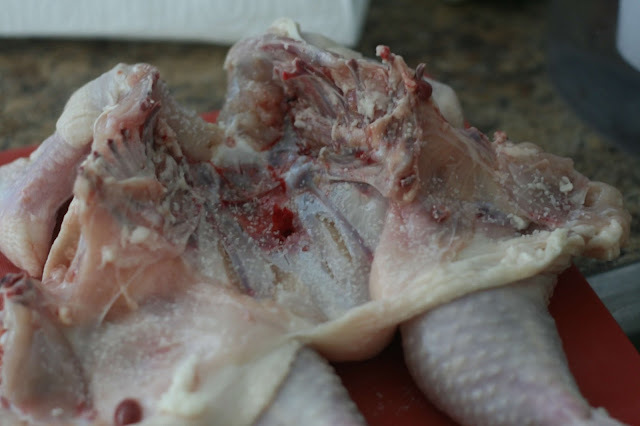 Using a sharp knife or scissors slice out the back spine of the chicken. 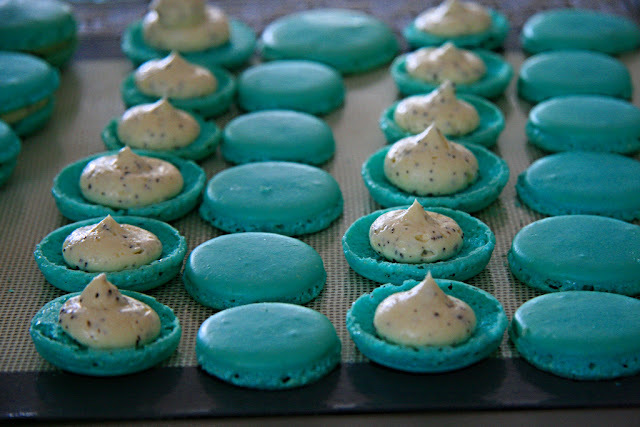 Prepare a rectangular baking tray with parchment on the bottom and a grill on top. Place the chicken on top. 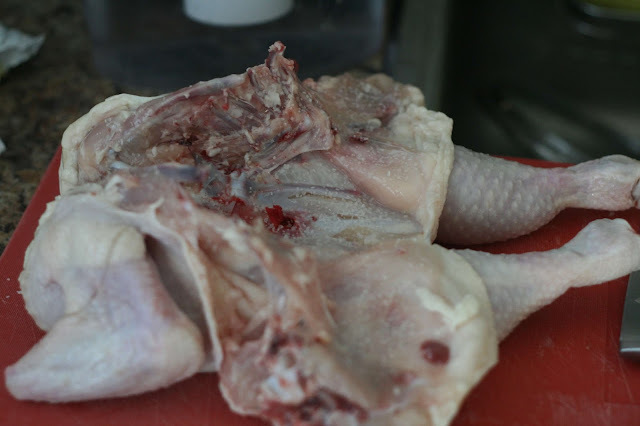 Gently dislocate the leg and wings so that the chicken can lay flat. This is known as the Spatchcock cooking method. Spread/sprinkle the dry spice rub all over the chicken. Again, you don't have to use all the dry spice rub, you'll have leftover dry spice rub for another chicken. Bake the chicken on the middle rack of the oven for a maximum 45 minutes at 475F. The internal temperature of the chicken should reach 165F. Be careful while probing the temperature as the chicken can be quite juicy! Serve whole or cut it up into pieces before serving. The results of this chicken are comparative to having rotisserie chicken from the store (but with the spices and salt level you prefer). It is also very scaleable with different sized chickens (small to large, they all take around the same amount of time). Even better, your chicken can be spatchcocked the night before so all you have to do is put it into the preheated oven when you get home from work and it will be ready within 45 minutes. Baking Powder is not absolutely necessary to cooking the chicken, but it is really recommended for having a crispy skin. You have to try this out!